One of the most common phrases I get in response to some of my posts is, "I wouldn't even know where to begin..." I completely understand that. Pinterest and blogs can be intimidating! It's important to realize that you don't have to copy what you see or replicate every idea out there. If you look at ideas you find online, in a book, or at a friend's house and think you could never do that, you might just be right. 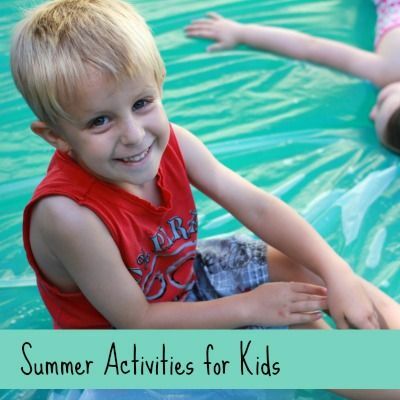 Maybe you can't do an activity exactly the way another mother does it, but guess what? You can do it in a way that shows off YOUR flair, YOUR style, YOUR personality. We bloggers are here to inspire, not to make you feel defeated before you've even had your morning cup of coffee. With all of the "Mommy Wars" going on (thank you Time magazine for making mothers question ourselves as if we don't do that enough already), I am starting a series entitled Child's Play 101. Each post in the series will focus on one specific type of play. It is on my heart to encourage mothers. We all have different situations. Our financial statuses are not the same. Our living environments can vary quite a bit. The time we are able to devote to play will not be consistent from family to family. I imagine I have readers who stay at home, work from home, work away from home, single parents, military spouses, parents with one child, parents with two or three children close in age, parents with children in school and a baby at home, etc. What is important is what works for YOU, not keeping up with the Joneses. 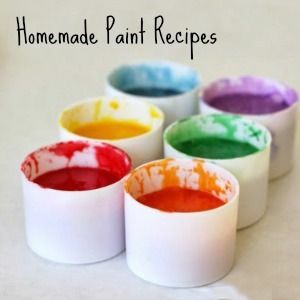 So for each post in this series I will offer a wide variety of suggestions relative to the topic, and hopefully you are able to find something that works for you and your family! 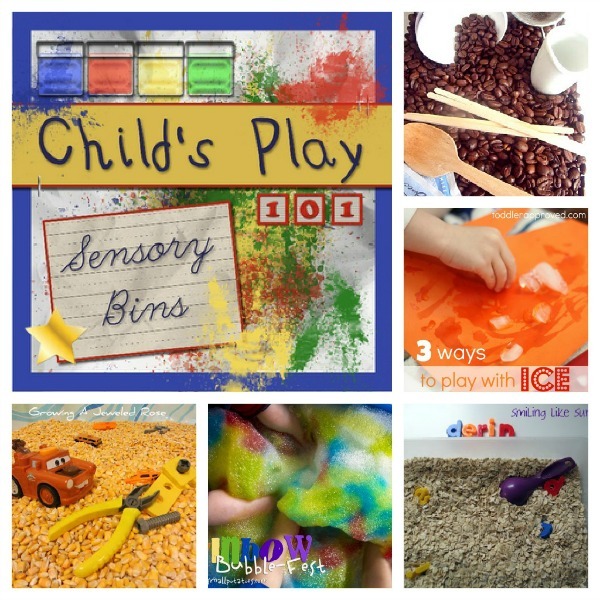 Why is sensory play important? Children are multisensory learners. 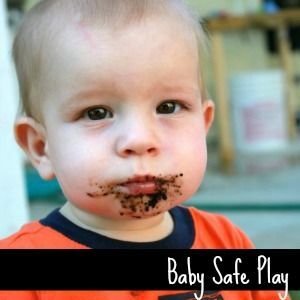 Why do babies bring everything to their mouths? They are exploring their world, and tasting is one way they learn about their environment. By gumming a toy, a baby discovers if the object is hard or soft, smooth or bumpy, moldable or firm. I love watching babies chew on a toy for a few minutes, stare at it, then bang it on the floor to see what kind of noise it will produce. Imagine showing a young child a beautiful photo of the beach. Sure he might admire it for a few seconds, but does looking at a photo compare to digging his toes in the sand, splashing in the water, running from waves as they chase him up shore all while smelling the salty ocean air? It doesn't even come close. 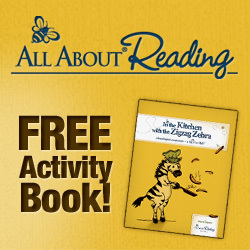 "Learning and retention are improved depending on how many of our senses are engaged." - Earlychildhood NEWS. Did you get that? What good is teaching my child if he doesn't retain the information? 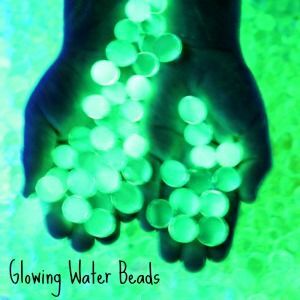 Okay, are you sold on sensory play yet? Maybe you are, but you are thinking that you don't have the time or resources that are required. Well, I have great news. 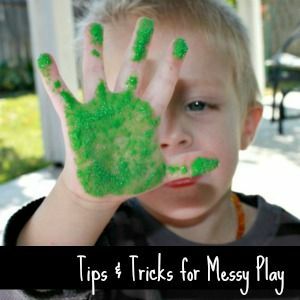 Sensory play can be simple and inexpensive, and most often you can use items you have on hand. SAND: At the park, at the beach (if you leave on the coast), in your backyard. 1. 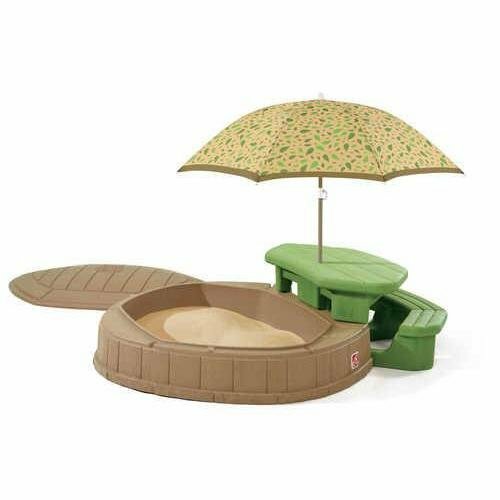 We have this sandbox . My husband was going to make one when JZ was two, and a neighbor happened to be getting rid of one. Perfect timing! 2. 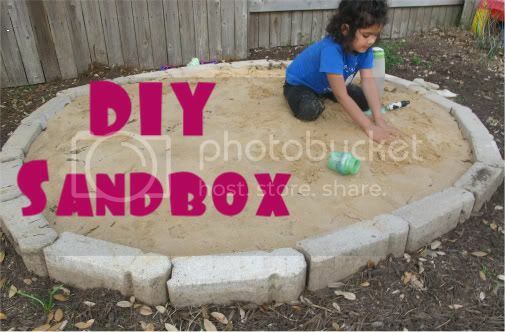 Anna from The Imagination Tree put together this creative yet incredibly simple Sandbox. 3. 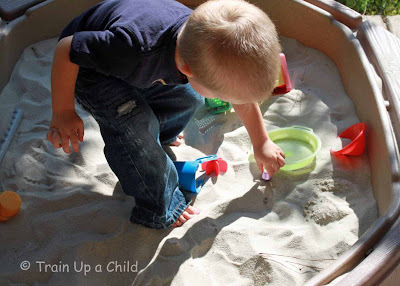 Rebekah from The Golden Gleam shared step by step instructions to build a Sandbox. 4. While doing a pirate unit for school, I hid Buried Treasure for my boys to find in our sandbox. 1. You could create this wonderful Rainbow Bubble-Fest from Small Potatoes in minutes! 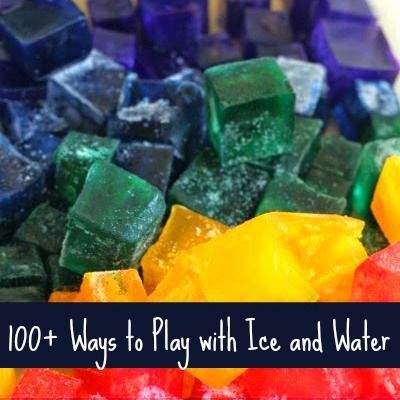 All you need is water, soap and food coloring. 2. 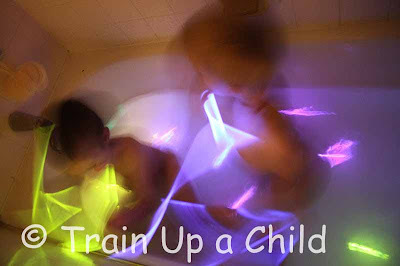 Throw some glow sticks in the tub with your children for a Glow Bath. 3. Robin from Sweet Tea Classroom made a water sensory bin in a Wagon! How clever! 4. Sometimes I just fill the Sink and give the boys a few items for scooping and dumping. 5. 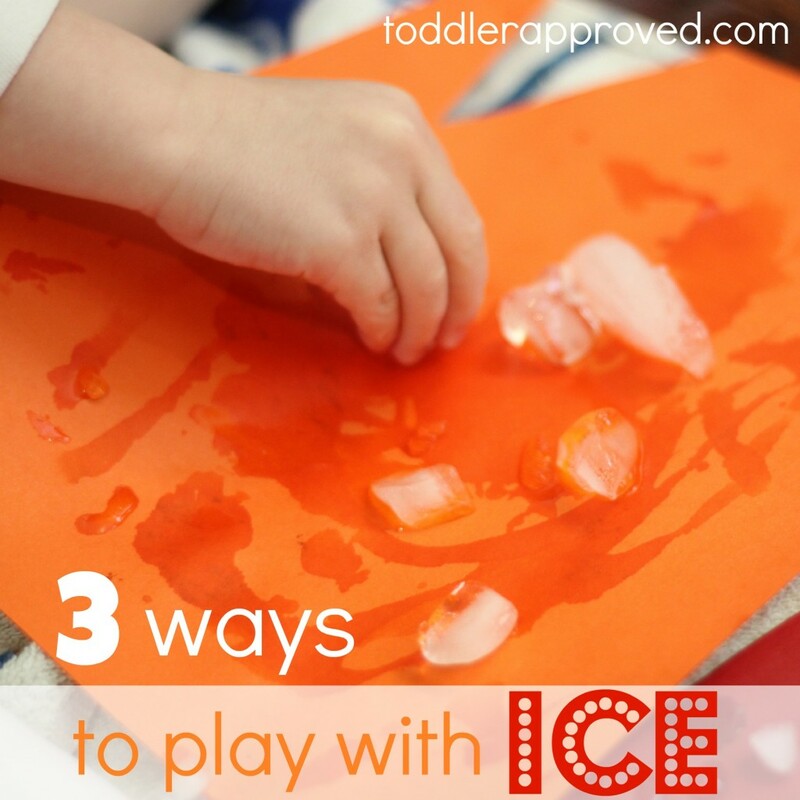 A Mom with a Lesson Plan showed us three ways to Play with Ice. 1. Toss some lentils, rice and bread crumbs in a few small pots or dishes. 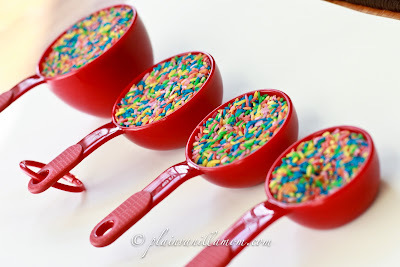 Include a few spoons and trays and you've got the perfect set up for a Sensory Experience like Z is for Zel. 2. Are you making mashed potatoes for dinner? 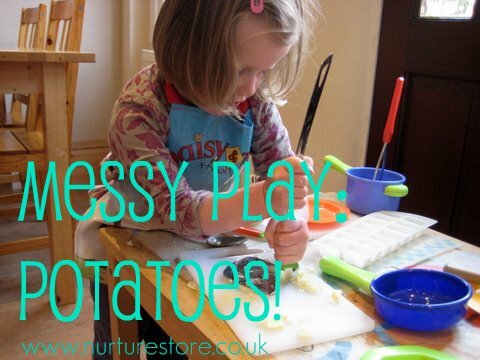 Whip up some extras, set out a few kitchen utensils, and invite your child to engage in Messy Play like Nurture Store. 3. Smiling Like Sunshine hid letters to her son's name in a bin of Oatmeal. 4. Plain Vanilla Mom used Colored Rice to work on fractions with her seven year old. 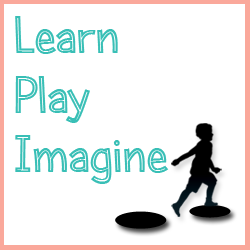 I love incorporating play and lessons! 5. 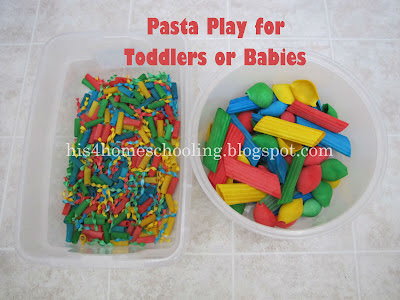 At H is for Homeschooling you can find a cool way to let both an infant and a toddler explore Colored Pasta safely. 1. Play Create Explore used Cotton Balls to let her son explore soft textures. 2. 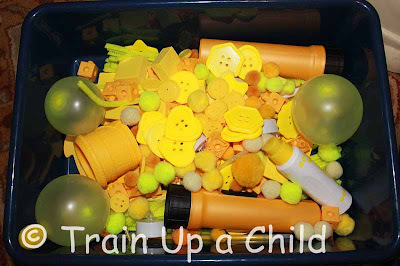 I made a Yellow Sensory Bin for my boys awhile back. 4. 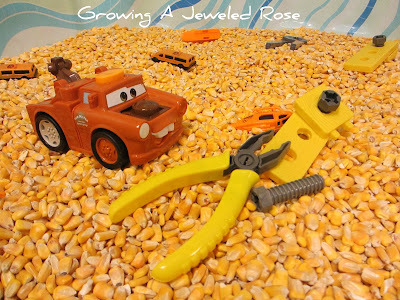 Growing a Jeweled Rose has a plethora of ideas for hosting group sensory play dates. One of the stations at her first group playdate was a kiddie pool full of Corn and other fun items. You could do this on a much smaller scale if making a bin just for one or two kids. Or you can take her lead and invite the playgroup over! 5. Shredded Paper makes a fantastic sensory bin like this one from I Can Teach My Child! 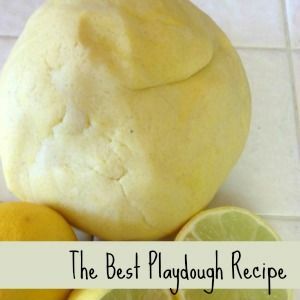 What a great way to used recycled items AND provide sensory play for your little one. I hope this post has left you inspired and not overwhelmed! 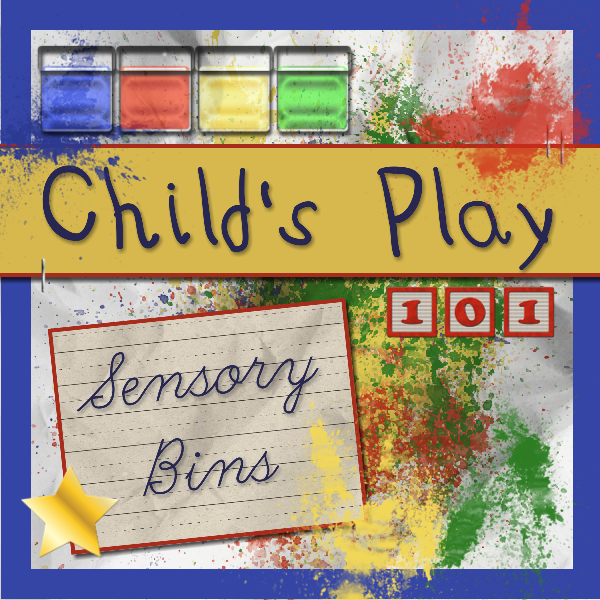 Sensory bins can be as simple or as complicated as we make them. Creativity is exciting, but I can tell you from experience that my boys love the simple bins every bit as much as the more involved bins. 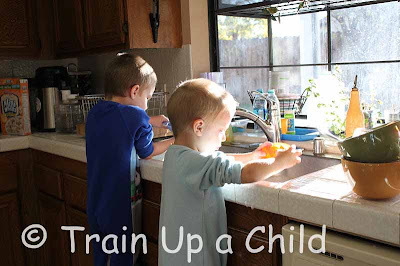 So go ahead, grab a bag of rice, an empty container, a couple of spoons, and let your kiddo have at it! 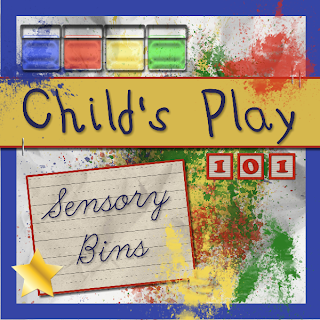 Follow my Sensory Bins board on Pinterest for more ideas! Wow this is a brilliant post. So many different and inspiring ways. Thank you so much for doing this - seeing different ways of doing essentially the same activity is super useful in helping me figure out how to do things for babies and I! What a great series. 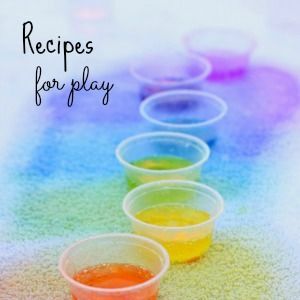 I love sensory play thanks for the ideas. You are right parenting is not a competition but that is so hard to remember sometimes. thank you very much. I didn't quite understand what they were before reading you. I'll try some ideas with my boys!